They say a dog is man's best friend, but sometimes it seems as if a dog can have no friends at all. 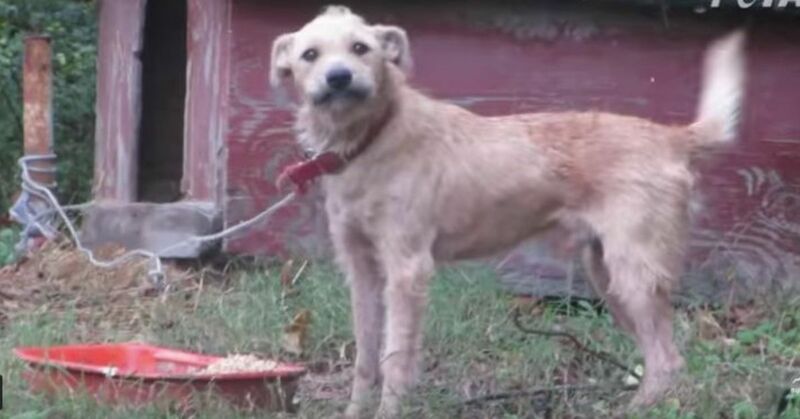 Marley, a friendly terrier mix pup with perky ears, was kept chained up in his owner's backyard for five long years. The poor pup had no attention, no love and no friends. 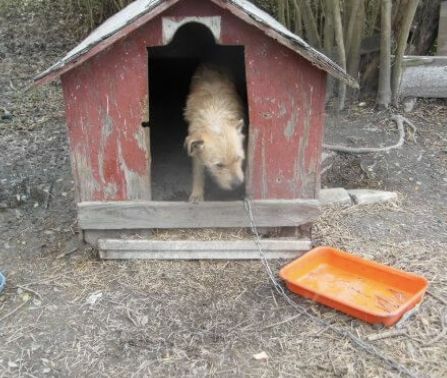 Dogs are pack animals, and to keep them in a life of isolation is one of the cruelest things someone can do. Marley was lucky if his negligent owners remembered to feed him, although they didn't bother to buy him dog food. Instead, he lived on Cheerios and water from an algae-covered five-gallon bucket. Marley didn't even know his own name. The only word he heard from his owners was "no," probably in response to his desperate barking for attention. But Marley didn't go completely unnoticed. Fieldworkers from PETA, an animal rights organization, regularly visited him and gave the dog the love and attention he so desperately craved. They also brought nutritious food that Marley slurped down as if he had never eaten before. But then, he practically hadn't. After five years PETA was able to convince the owners to surrender Marley permanently to their care. A vet check confirmed what the workers already knew: Marley was malnourished and severely infested with parasites. They didn't have to look far for a new loving home for the scruffy pup – PETA worker Michael Moss fell in love with the dog who had so much love to give. 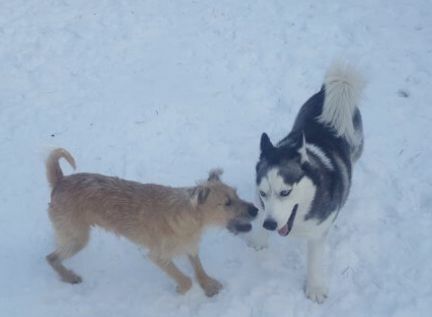 Marley gained a warm bed, toys, good food, a loving owner and a new friend: Kyah, Moss' Husky. The two doggie best friends love to romp and roll around together in their big back yard, something Marley sorely lacked in his former life in canine purgatory.